Borsa Vini Italiani 2018 was a one-day trade exhibition that brought a delegation of Italian wine producers to Singapore. Organised by the Italian Trade Agency (ITA), the event showcased 29 Italian wine producers from 11 wine-producing Italian regions that were selected for their passion, expertise and heritage. 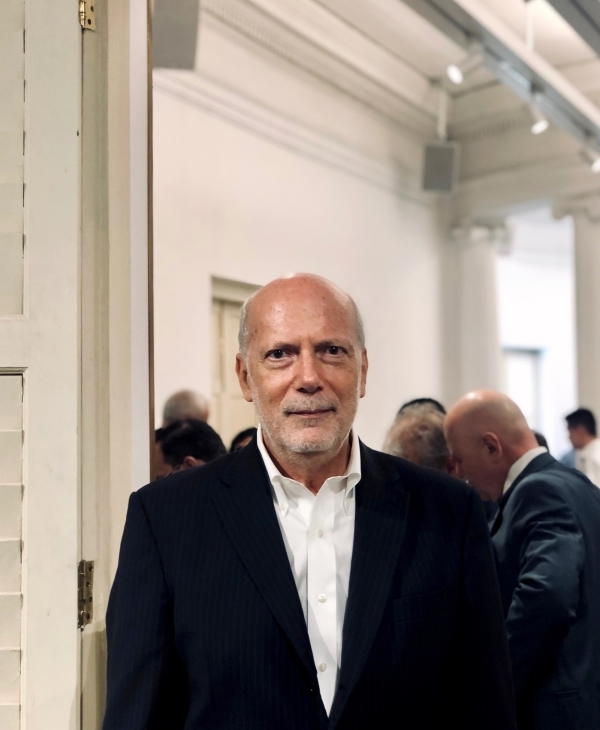 Spirited Singapore (SS) spoke with Leonardo Radicati (pictured), Director of the Italian Trade Agency in Singapore, at the sidelines of Borsa Vini Italiani 2018 on the growth of Italian wine here. SS: Why do Italian wine producers pride themselves on grape cultivation and wine production? Leonardo Radicati (LR): Italy has been known to the Ancient Greeks as Oenotria, or “The Land of Wine” and boasts 4,000 years of uninterrupted grapevine cultivation and winemaking. A leader in fashion, design, food and many other creative sectors, Italy is also a leading producer and exporter of wine. And it’s no wonder – the peninsula’s mild Mediterranean climate and centuries of oenological expertise have fostered an extraordinary wine culture. SS: Tell us about the growth and development of the Italian wine industry. LR: Though Italy’s vintners are in the vanguard of modern producers, they still maintain a deep respect for the country’s ancient wine-making heritage. Many consider this an art form. The wines derive from native vines, which represent an enormous array, and also from a complete range of international varieties. Italy is composed of 20 regions, each with a unique topography, climate and cultural identity. These factors have contributed to the distinctive winemaking traditions that can be found throughout the Italian peninsula and islands. SS: Any opinions about growing the Singapore market for Italian wines? LR: The city state is quickly becoming a main wine hub in Southeast Asia. Its large number of foreign investors and growing infrastructural support for the local wine industry together with a huge number of great Italian restaurants encourage local people to explore Italian wines. (The) Singapore wine market could grow by 5% over the period (of) 2016 – 2021. Italian wines will keep the very first positions among the main export countries. Sparkling wines called “spumante” or “prosecco” rank second place after France’s “champagne” and will double their import figures. SS: How are Italian wine makers adapting their wine for the Asian and Singapore palate and cuisines? LR: Italy’s glowing reputation with wine is due to the fact that it produces and exports more than any other country. It also offers the greatest variety of types, ranging through nearly every colour, flavour and style imaginable. From bold, noble red wines to zesty, mineral whites and sparkling roses – Italy has a wine to delight every palate and match any culinary recipe from all over the world.